The last and only time the hubs and I were in Arizona was when we got engaged and stayed at the Amangiri along the border of Utah and Arizona. Breathtakingly beautiful experience. And the service at the Aman resorts is without saying, top notch. We took a little day trip from the resort one afternoon and drove across the border into Arizona to see the Antelope Slot Canyon. If you haven’t been, you need to go. The canyons are gorgeous and because it was the dead of winter there weren’t any tourists! We got a lot of beautiful pictures that our guide said, had we been there in the summertime, would have been full of other tourists. Heading back to Arizona to explore Phoenix, Scottsdale and Sedona to experience the top notch spas, health restaurants and the Grand Canyon is on my to-do list. 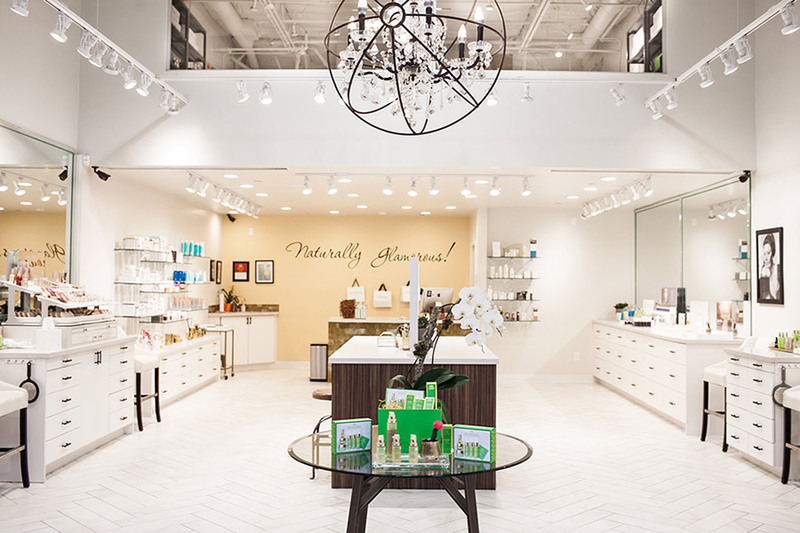 And when I do go back, I’ll be checking out these beauty and healthy eats recommendations by, Melissa Lenberg, Arizona native and owner of green beauty shop and spa, Citrine Natural Beauty Bar. Read on for Melissa’s faves and why they aren’t to be missed! The Joya Spa at Omni Montelucia Resort is one of my favorite ways to unwind. I treat myself to a spa day at this gorgeous resort here in Paradise Valley. Their spa has a beautiful Moroccan theme, so you honestly feel like you’re on vacation. The therapists there are amazing, and I enjoy getting a massage with the Lotus Wei Quiet Mind serum, which is part of their aromatherapy treatment. The spa also boasts a beautifully decorated room deemed “The Quiet Room” to go and treat yourself to a nap or to turn off the monkey mind. You can also enjoy spa refreshments outside at their salt water pool, all while enjoying views of Camelback Mountain. I know it may seem like I am giving a biased suggestion here, but we have clients visiting from all over who tell us all the time that our Citrine Natural Beauty Bar is a destination for them. I recommend you come in and enjoy a relaxing mini facial with us. We use some of the finest natural skincare from Tata Harper, May Lindstrom and more. And if you’re getting glammed up, make sure to add the Battington Lashes to your makeup service to turn heads. True Food Kitchen is my absolute go-to for a guilt free dinner and drinks. 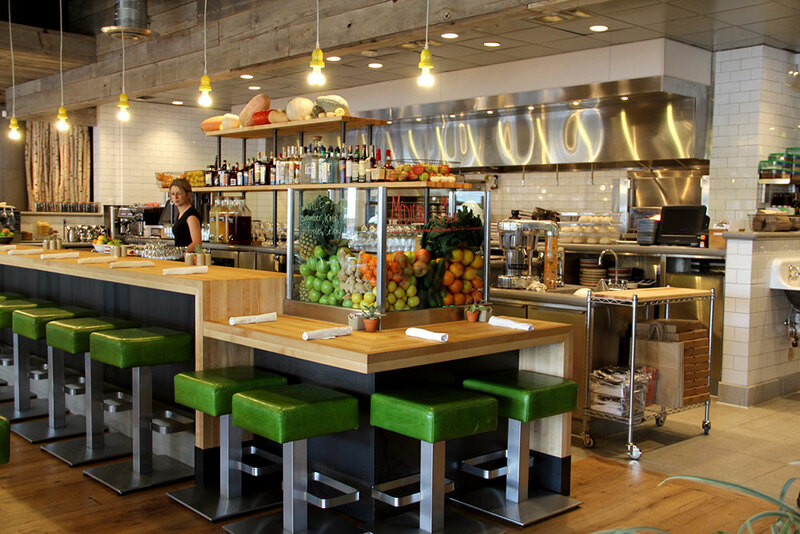 The True Food Kitchen menu is the result of Dr. Andrew Weil’s Anti- Inflammatory Diet. I love to indulge in a meal that is honestly delicious, an antioxidant-packed dessert and enjoy an organic cocktail. I’m not a big drinker, but the natural juices & spirits make me want to splurge. I highly recommend their Citrus – Skinny Margarita made with muddled citrus, mint, cucumber and organic tequila. Their Flourless Chocolate Cake also never disappoints. Head to Amitabha Stupa and Peace Park. A short hike up winding tree lined trails will bring you to one of Sedona’s most peaceful places. 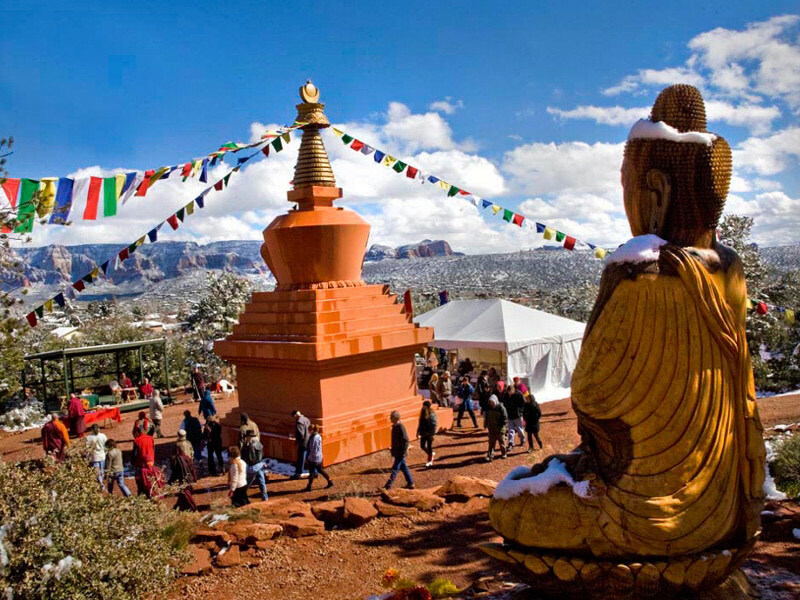 You will find the Stupa which is one of the oldest forms of architecture sitting majestically among the pines, and surrounded by the beautiful Sedona landscape. Amitabha Stupa is a perfect place for prayer, meditation, and healing. I love to go here and get deep in my thoughts. The Stupa is the truly serene place where the idea of my brand Citrine was born. Afterwards, go and grab a juice post-hike or pick up a delicious bowl or salad at Local Juicery. It’s one of my favorite food places to visit while up in Sedona. I had the pleasure of meeting the owner, Summer, a few years ago at a green beauty event I attended in LA. The first time I visited I was more than impressed. Her selection of juices and yummy treats is seriously top-notch. My personal favorites are the PB + J Vibes smoothie and Glowing Greens. Next Post Ask An Aesthetician: Will eating dairy cause acne breakouts?